Kendall M. Mohler, Ph.D. joined Accelerator as Chief Development Officer in November 2017, bringing more than two decades of experience in the biopharmaceutical industry, including several years of leading scientific research and development teams in the areas of autoimmune disease, inflammation, and oncology. 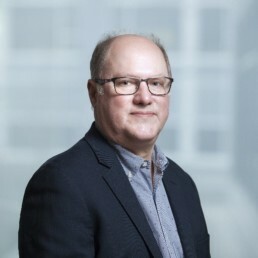 He works closely with all Accelerator Life Science Partner I portfolio companies, where he provides oversight over key scientific research and product development activities. Most recently, Dr. Mohler served as Senior Vice President of Research at Juno Therapeutics Inc. (NASDAQ: JUNO), a clinical-stage cell immunotherapy company focused on re-engaging the body’s immune system to treat cancer. Before that, he served as Chief Scientific Officer of Juno Therapeutics Inc. and ZetaRx Biotherapeutics, a predecessor company that was acquired by Juno when the company was initially founded. Prior to Juno, Dr. Mohler co-founded Trubion Pharmaceuticals Inc. (NASDAQ: TRBN), a biopharmaceutical company focused on the development of novel protein therapeutics to treat autoimmune and inflammatory diseases and cancer. At Trubion, Dr. Mohler served as the Company’s Chief Scientific Officer and Senior Vice President, overseeing the development of several first-in-class product candidates and supporting several partnerships with global pharmaceutical companies. Prior to Trubion, Dr. Mohler he served as Vice President of Biological Sciences of Immunex Corporation (NASDAQ: IMNX), where he led research and development activities in the areas of transplantation, autoimmunity & inflammation. He was the preclinical lead for Enbrel’s research and development activities and successfully shepherded the product from inception through BLA approval. Dr. Mohler has published more than 35 manuscripts and has 4 issued patents and 6 pending patent applications. He received a Ph.D. in Immunology from the University of Texas Health Science Center and a B.S. from the University of Kansas.